I put off writing this one for a few reasons. In fact, it may be too late to influence anyone, but the irritation I felt still lingers. Burton did Alice a disservice. There I said it. I wanted to like it, I really did. I had been excited to see it from the day I heard Time Burton was taking the classic out-of-body tale on. Until the day I saw the first trailer. It looked nothing like what I had expected, but Burton was fresh from Sweeney Todd, which I found brilliant, so I hoped that perhaps it was a just an unfortunate edit. But doing a little non-spoiler research, I learned that the story was completely made-up – a sequel to Alice’s first well-known trip. Yet I pressed on, setting aside my usually-vehement protection of literary sources to see if this reimagining could deliver. It delivered numerous sighs, forehead-to-palm slaps and a headache (not caused by the forehead slapping). 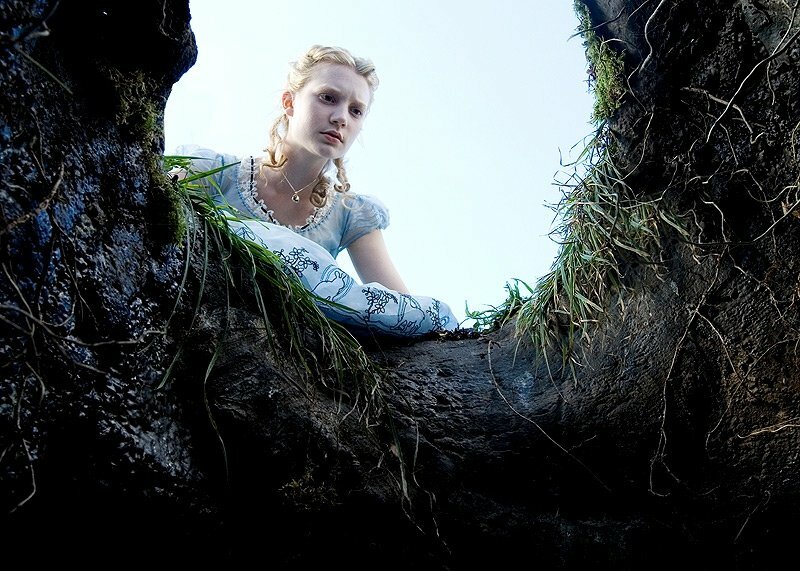 An older Alice (Mia Wasikowska) finds herself being forced into a society marriage with a useless fool and in a fit of fear, she runs off and follows a rabbit (Michael Sheen) down a hole. She meets a string of familiar characters, but doesn’t remember that this is her second trip to Wonderland (actually, Underland, we come to find out). The Red Queen (Helena Bonham Carter) is still impetuous and the White Queen (Anne Hathaway) is useless and she needs the help of Alice to restore her to the throne — and she can’t do it without also saving the Mad Hatter (Johnny Depp). None of these seasoned actors manage to bring anything inventive, though they are not at fault for following Burton’s direction. It all starts to feel vaguely like a Narnia story (human girl must save the magical land, talking animals, good and bad royalty, Quixotic yet wise creatures) that we have seen before. With all the characters of Wonderland and Burton’s imagination, this should have been something incredible. Sadly, it is as if Tarantino did a fairy-tale in gothic style (not a complement). It is flat, story-less and boring. Little good stands about the animation and effects either. The Knave (Cripsin Glover) is half-CGI, half-actor and he never looks right. The Red Queen’s floating CGI head is too disturbing and distracting to be effective. They use cheap 3D tricks like a Atlantic City amusement park. The opening (and closing) sequences, set in the English countryside, are the only convincing minutes. Here we see what Burton is truly gifted at. His Todd-styling is in full swing and there is a subtlety to the characters that is lost everywhere else. 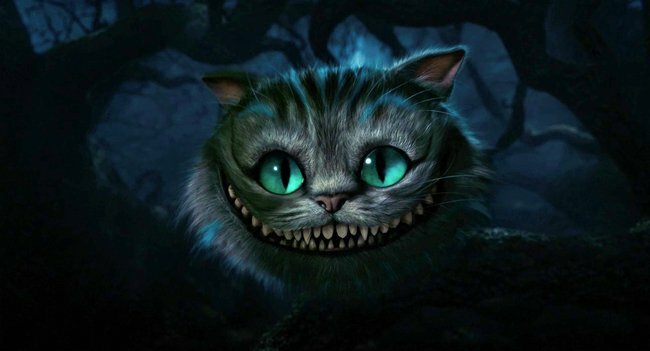 Only the animation of the Chershire Cat (Stephen Fry) is enjoyable. Whoever was in charge of his creation has a cat – and did their homework. I’m sorry to see this film raking in so much at the box office. Though I can’t really blame the ticket-buying public. I was sucked in, and fell down the rabbit hole myself. But all I was left wondering was why they couldn’t manage to get this right.